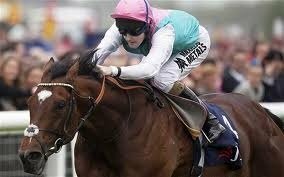 Could the outstanding Frankel race in France after York test? The suggestion by Teddy Grimthorpe, racing manager to Prince Khaled Abdullah, the owner of Frankel, that the great horse may race in France in September after running in the Juddmonte International at York later this month has raised plenty of eyebrows within the Betfair Tips Horse Racing community. Grimthorpe put the idea forward at an interview following Frankel’s latest demolition job, his six-length defeat of the smart Farhh in the Group 1 Qipco Sussex Stakes at Glorious Goodwood, suggesting that the Prix du Moulin at Longchamp in mid-September might serve as an ideal stepping stone between the two top British races. The surprise element is that the 10 furlong Juddmonte International represents the horse’s first attempt beyond a mile that may necessitate a change in plan by connections, whilst the Champion Stakes is also run at a mile-and-a-quarter. Dropping back to a mile for the Prix du Moulin has been suggested by some commentators as a potentially muddling move when the horse is being primed to stay further in what had been expected to be his last two races this season and possibly for good. The Sir Henry Cecil-trained superstar, who will surely feature heavily in York Ebor 2012 odds markets, is likely to be every bit as good at the longer trip and it appears that all connected with the great horse believe he would not be inconvenienced by going up and down in distance and seem prepared to keep him racing at regular monthly intervals. The outstanding Frankel has become a racing sensation over the last three seasons in which he is unbeaten in all 12 starts, eight of them at Group 1 level. The son of Galileo appears to be getting better with every run and his presence on course invariably adds many thousands of race goers to the gate to see the horse many believe could well be the very best we have ever seen.